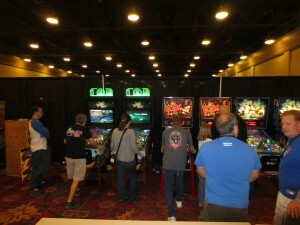 I was in the finals of the Texas Pinball Festival last weekend. They had two games with the latest code there. 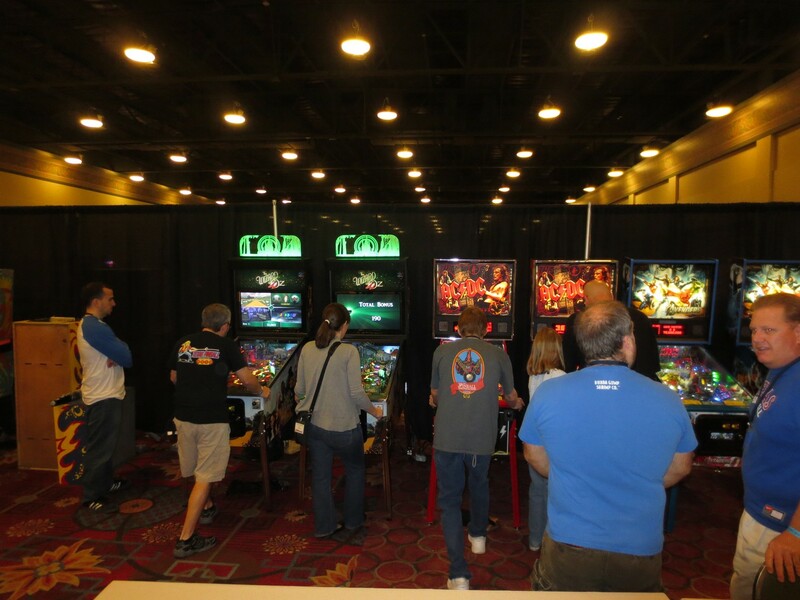 The classic/SS tournament ended up running until almost 7am… most of us that had to wait just milled around. 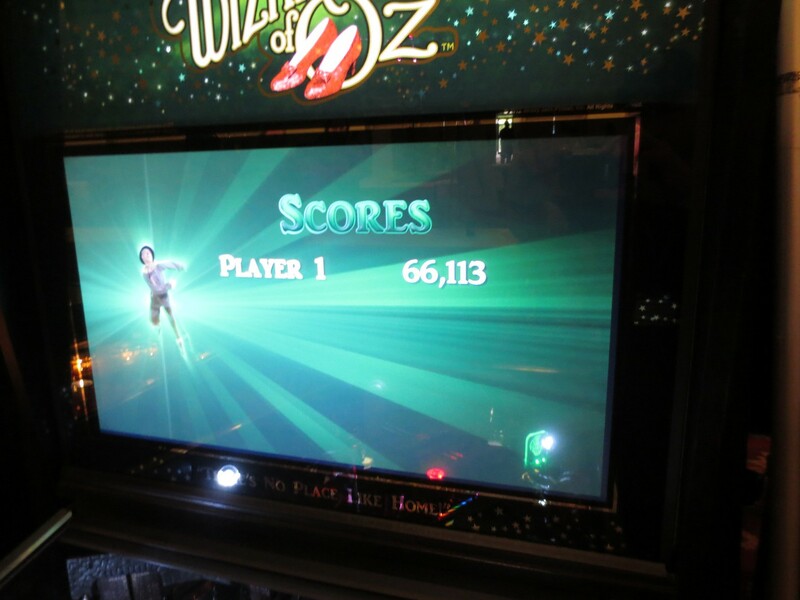 I took advantage of the situation to play WOZ (Wizard of Oz) about 100+ times (which really helped me post a nice score of 66,000+ during the semifinals the next day), so I got a lot more than just a few games on the machine as I played it for around two hours. Obviously the build quality is amazing. And the light show blows people away. It’s hard to appreciate this game if you only play it a few times and have people hovering over your shoulder looking to play. But after more than an hour on the machine I got a good feel for it. There are a LOT more shots than people think.. there are a lot more interesting techniques.. there are some very clever playfield designs that aren’t obvious… you can actually shoot the ball back into the shooter lane! The mid right flipper can be raised to allow access back into the shooter lane in a manner similar to the camera on TZ. This game has a ton of “non-obvious” shots to it that reveal a much deeper design than it looks at first glance. And I still think I only scratched the surface of this game and what it can do. IMO, people that complained about the flippers being underpowered were inaccurate and confused. But I completely understand why they thought that — I felt the same way until I played the game more… if you only play a few times it may seem like the left flipper cannot reliably make a shot to the right ramp to lock balls, but it’s misleading.. it’s more like a Steve Ritchie-style ramp shot, where you have to be both accurate and fast to make it. The shot is misleading – since the angle is so narrow you think you can easily make it but it takes more precision than you’d expect (because the actual center-right ramp shot inclines as it goes to the right… it’s very similar to the Beta/Delta Quadrant shot in STTNG but hidden), which has made people think the problem is the flipper power when the real problem is, their shot wasn’t tight enough. There are all kinds of things in the game like this. The right orbit is a sucker shot straight to the left outlane if you keep the flipper out – it’s much like the orbit shot in JD where if you don’t hold the flipper out, it will drain. This game is clever… VERY CLEVER… it’s going to take a lot of play to unlock all of the wonderful design elements. I love how the mid right flipper shot is dangerous and care needs to be taken to not feed the left outlane. Also, this game is not slow. But when you have a line of people playing it for the first time over and over, it’s going to seem slow because they don’t know what to shoot for. I watched 10 people play the game for the first time, and they all basically flailed at the game the same way and it started to look redundant (and the game came off very mean with nasty outlanes a la STTNG, but it’s really not that bad). It’s like TSPP.. there’s a lot more there and it’s going to take time to find all the shots, and there seems to be multiple ways to make most shots. There are also a lot of unfinished things in the code we used… we could not play multi player games on WOZ in the tournament because the game did not save play progression per-player, so a second player could steal the first player’s locked balls and game progression. The playfield lights were in attract mode so it was difficult to know what to shoot for. In the tournament, people mostly flailed around trying to figure out how to enable various game features… until the software patches are in to enable playfield inserts to accurately reflect what’s going on in the game, getting a solid feel for the ruleset is going to be frustrating. All-in-all, I loved the game. The sound was great. It felt really solid. The software still needs a ton of work though. 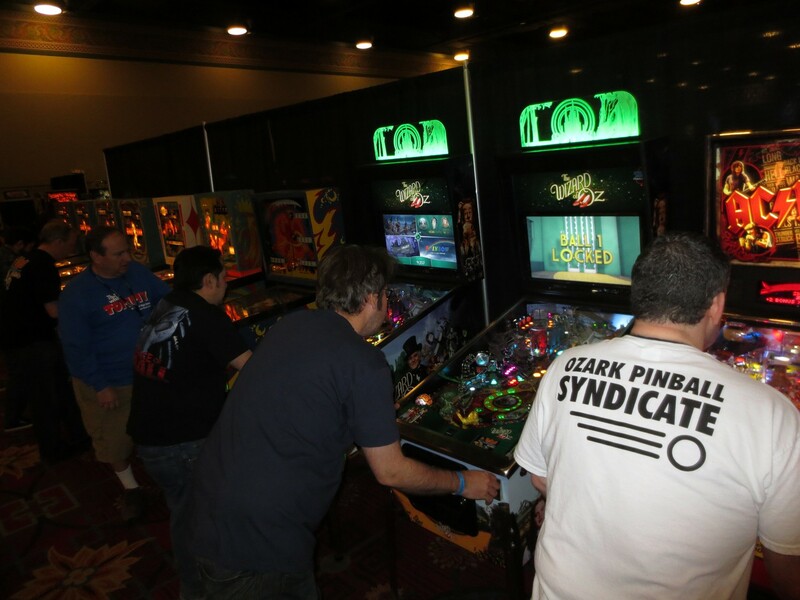 Will this game “save pinball?” I don’t think any of these types of games will make a huge difference because they’re basically using the same technology available 20 years ago (+LEDs) and I think in order to get new people to play en masse, it’s going to require a much more innovative and cost-effective platform (I think we will need to see a P2K-like system for $3000), but WOZ will definitely put Stern on notice that they will need to step up their game big time or be considered a “toy maker”. WOZ is several orders of magnitude more polished in terms of quality. And regarding reliability….. I did not see a single ball get stuck on WOZ the entire time I played. There are definitely software issues, but playfield design was very solid, and no mechanical components broke down. 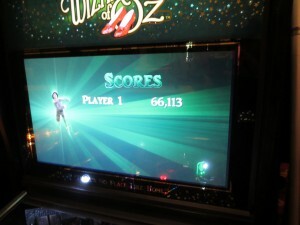 The only breakdown I saw on WOZ was on one machine, the whole right side of the playfield inserts went out – probably due to some wire/connector issue. And they eventually fixed it. The crystal ball is a very cool game feature, and it worked in the game version I played but I’m not sure how it integrates into the game. The only person who can see what’s on the crystal ball is the player as the view angle is very narrow but it’s quite a cool feature, as is the witch messing with the ball throwing it around like on Iron Man. I look forward to seeing the game software progress – it’s hard to judge a game like this with incomplete software but I can say the playfield design is very solid and creative. awsome artical and now its going to be harder waiting for my WOZ.